In 1967, twelve young men attempted to climb Alaska's Mount McKinley - known to locals as Denali, `The High One' - one of the most popular and deadly mountaineering destinations in the world. Only five survived. 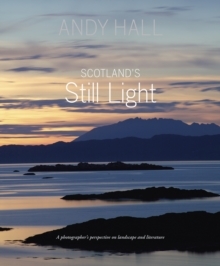 Journalist Andy Hall grew up in the mountain's shadow, the son of the ranger on duty at the time of the tragedy, and has spent years tracking down survivors, lost documents and recordings of radio communications to piece together the chain of events. 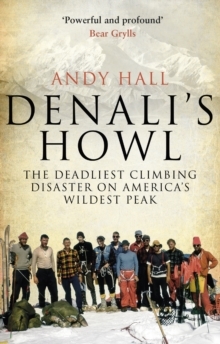 In Denali's Howl, Hall reveals the full story of an expedition facing conditions conclusively established here for the first time: At an elevation of nearly 20,000 feet, these young men endured an "arctic super blizzard," with howling winds of up to 300 miles an hour and wind chill that freezes flesh solid in minutes. All this without the high-tech gear and equipment climbers use today. As well as the story of the men caught inside the storm, Denali's Howl is the story of those caught outside it trying to save them - Hall's father among them. The book gives readers a detailed look at the culture of climbing then and now and raises uncomfortable questions about each player in this tragedy. Was enough done to rescue the climbers, or were their fates sealed when they ascended into the path of this unprecedented storm?